Adjustable height range: 450 to 580mm, gas bar is adjustable in the height of 140mm. Color:Blue, Black, PU leather. Product Information:Adjustable height range: 450 to 580mm, gas bar is adjustable in the height of 140mm. 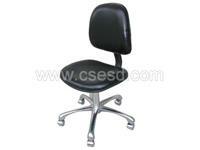 Configuration:PU leather, sponge, big board, coated iron, coated chassis, Chromed five-star feet, anti-static wheels. Application Fields: LCD products manufacturing, LED products manufacturing, electronic products manufacturing, magnetic head products manufacturing, chip products manufacturing, telecommunication products manufacturing, computer products manufacturing, food products manufacturing, medicine products manufacturing, semiconductor products manufacturing, and any other field of production.